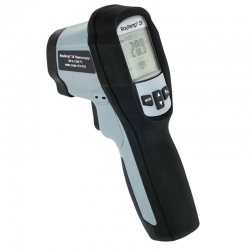 There are three basic types of infrared thermometer optics, each with its own advantages and disadvantages: no-lens thermometers, fresnel lens thermometers and mica lens thermometers. 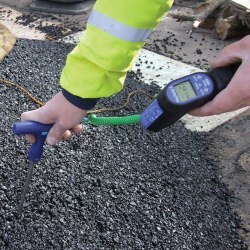 It is important to give some thought to the intended range of temperature you are likely to measure with your infrared thermometer. For best resolution, choose a thermometer with a specified range that most narrowly covers what you are planning to measure.